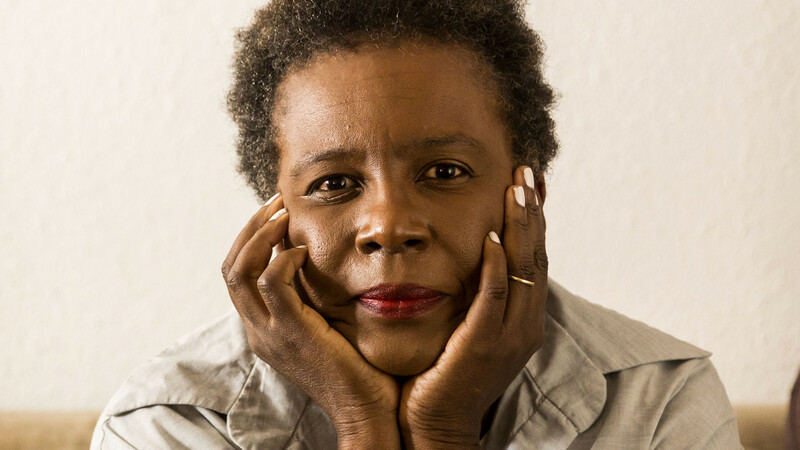 The most-talked-about book of American poetry of 2014 is Claudia Rankine's Citizen. In fact, it is hard to think of a book of poems in recent memory that has received more acclaim. Citizen has been called "especially vital" by The New Yorker, "urgent" by The New York Times, "unforgettable" by the influential literary critic Marjorie Perloff, and "a major work of American poetry that deserves to win the National Book Award" by Flavorwire. The Los Angeles Times, though, gives some of the highest praise I've ever seen for recent book of poems, claiming Citizen is "so groundbreaking... it's almost impossible to describe." Subtitled "An American Lyric," Citizen is a disturbingly riveting melange of prose poetry, painting, photography, fragmented aphorisms and lyric essays that explore, dissect and reflect on race in America, with a particular focus on embodied race. Many of the poems recount Rankine's casual but painful racially-charged experiences with colleagues, friends, cashiers and neighbors. Most of the interactions are fast, almost innocuous and therefore all-too easy to ignore, forget or repress. On their own, each individual encounter might feel like just that -- an isolated event, just different enough from other ones to be explained away. But over the course of a lifetime, one becomes many, and the effect accrues. And when the personal is played out against the public, then that accrual magnifies, deepens and hardens. Rankine collates her own experiences with pieces on Serena Williams, Trayvon Martin and James Craig Anderson, demonstrating how completely the Venn diagrams of public and private overlap, especially in regard to race. Citizen is part recollection, part documentation and part proclamation. These are the many reasons Citizen is an important book, but more interesting to me is what makes Citizen important poetry. 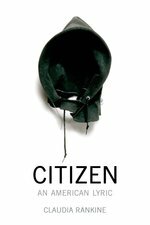 Not surprisingly, most of the reviews of Citizen have more or less ignored its poetics and focused instead on content. I would like to reverse that trend. At 169 pages and featuring 20 or so images, Citizen does not look or feel like a traditional collection of poems. On one hand, almost nothing about this book is traditional. There are no sonnets, no couplets, no rhymes and almost no verse. But in other ways, the book participates fully in the poetic tradition: The poems feature a strong and passionate lyric "I," the book addresses an audience, it deploys controlling metaphors and it uses form to underscore meaning. The magic, the intensity of Citizen, lies in its ability to embody tradition and explode it. Contributing to Citizen's dialogic structure is how the book classifies itself. On the top of the back cover, the book's genre (for shelving and searching purposes) says "Essays/Poetry." That's a fascinating combination; one you rarely see. This is because the aims of essays and the aims of poetry are (or are thought to be) at variance with each other. The essay unfolds, lays out, makes plain, digresses and opines, where the lyric compresses, deflects, collapses, contracts, figures, redirects and obfuscates. They would seem at first odd bedfellows, the most bitter rivals, a literary oil and water. But, in Rankine's capable hands, they complement rather than contradict each other, like a shoe and its laces or a cello and its bow. The lyric has always enjoyed one of the most extreme contradictions in all of writing -- a beguiling ability to simultaneously create both distance and proximity. The "I" speaker of the lyric poem goes inward like no other, but, ironically, no literary genre can feel more abstract, more disconnected, more alienating. How often do we really understand a Keats poem or an Eliot poem or a Dickinson poem? So when Rankine lets readers know that Citizen is "an American lyric," she is telling us her book is 1) personal but 2) potentially distancing and ultimately impersonal. One of the most remarkable feats of Citizen is how Rankine is able to enact the former without succumbing to the latter. She channels the personal impulse of the lyric -- the lyric's basic primal individual voice -- but catalyzes it with prose's readability and expansive clarity. Add in some images, a couple of essays, and you have a formally hybrid text that is ready to connect but also ready to confront. Citizen is a book that utilizes the relative virtues of its various forms in order to get at the multifaceted problem of race in America. In other words, race in America is so mulivalenced, only a book whose structure is equally valenced will have the best chance of excavating, examining, and piecing together what has been buried, ignored, or repressed. In fact, I would argue that Citizen's content demands its form. For better or worse, the design, syntax, and diction of the traditional lyric is, despite its beauty, a language of potential exclusion. Part of the lyric's appeal lies in its inclusiveness, but with its perceived heavy symbolism, its perceived preciousness, and its perceived emphasis on the the self, the lyric poem can come of as stuffy, effete, and inconsequential. Prose, though, disarms. It is the genre of easy communication. It is the genre of declaration. This is why manifestos, proclamations, and treatises, despite their ceremonial nature, opt for prose. Citizen distinguishes itself from much poetry before it through what we might call a discourse of declaration. By that I mean a form of communication that privileges statement over suggestion, that documents rather than defers. When a woman you work with calls you by the name of another woman you work with, it is too much of a cliché not to laugh out loud with the friend beside you who says, oh no she didn't. Still, in the end, so what, who cares? She had a 50-50 chance of getting it right. The world is wrong. You can't put the past behind you. It's buried in you; it's turned your flesh into its own cupboard. Not everything remembered is useful but it all comes from the world to be stored in you. Who did what to whom on which day? Who said that? She said what? What did he just do? Did she really just say that? At the end of a brief phone conversation, you tell the manager you are speaking with that you will come by his office to sign the form. When you arrive and announce yourself, he blurts out, I didn't know you were black! If this were a class, I would ask my students what makes these lines "poetry." I might point to the first block of text and ask a student to show me, precisely, where the poetry occurs. All of the conventional markers we expend to find in a "poem" are pretty much absent here, especially when pulled out of context like this. And yet, I find these fabulously compelling and wholly poetic (if more on a macro scale than micro). In his excellent book, Documentary Expression and Thirties America, William Stott argues that the documentary photographs of people like Dorothea Lange and Walker Evans were effective because they advanced "social documentary." According to Stott, social documentary "educates one's feelings" about "conditions neither permanent nor necessary, conditions of a certain time and place: racial discrimination, police brutality, unemployment, the depression . . ." In essence, social documentary informs emotions about societal conditions that we as people have the power to change and improve. In Citizen, Rankine perfects a mode of documentary poetics. For example, the poems function as a kind of camera. Rankine walks us through a litany of everyday encounters. She does not comment on the encounters; she merely documents them. And, it is that documentary aspect of the book, its evidentiary power, that makes the book seem so revolutionary. When that level of documentation is presented alongside Rankine's thoughtful essays, her aphoristic observations, and some arresting images (themselves a more conventional mode of documentation), her project looks like nothing American "poetry" has ever seen. There is no question, genre is a system. Poetic language, poetic form, and poetic style in the Western literary tradition are among the most revered literary institutions. And of course, that institution has been largely dominated by white men of privilege. Thankfully there are notable exceptions, particularly in the 20th and 21st centuries. But, even now, "poetry" is often expected to look and sound a certain way. Rankine frustrates easy assumptions about poetry -- what it sounds like, what it speaks to, and, most importantly, what it wants. Her book asks a lot of poetry, but it asks a lot of America as well. It may not be too much of a stretch to suggest that Citizen engages in a teach-in on the problems (and promises) of literary genre. Citizen has changed how we imagine a book of American poetry interacting with and commenting on the world we live in. It reminds us that the poet is first and foremost a citizen. It reminds us that American poetry can be both urgent and vital.